Welcome to the new Boyzone "BLOKE POWER" site. We are 2 french girls called Blandine and Mariette. 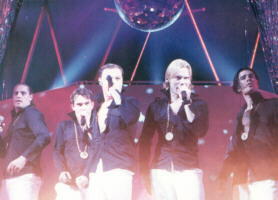 In this page, you'll find loads of news, gossip, info etc... about Boyzone. We update this site very often so, keep in touch with it.